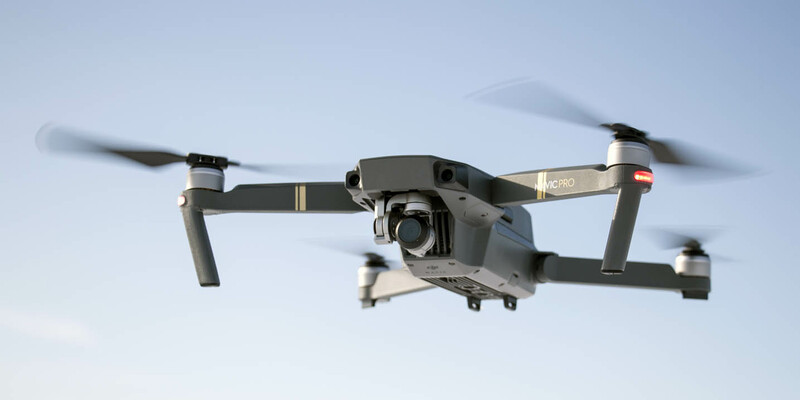 A bunch of useful DJI Mavic Pro Accessories and gadgets I find essential in 2019 – and some that you don’t really need. 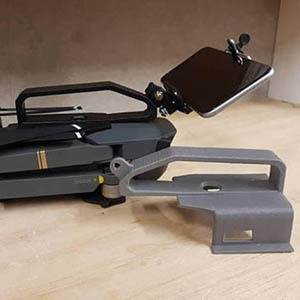 NOTE: DJI Mavic 2 Pro and Zoom owners are advised to check out the post: 28 Cool DJI Mavic 2 Accessories and Gadgets for Zoom and Pro! I have bought several accessories and extra gadgets for my DJI Mavic Pro drone. Most of them work for Platinum as well. They all serve a purpose, but my experience has thought me that even if the idea is good, the product doesn’t always work as it should – third-party or original. Other gadgets work like a charm and are a must-have. I don’t see myself droning without them. They can actually do the whole droning experience better and safer! 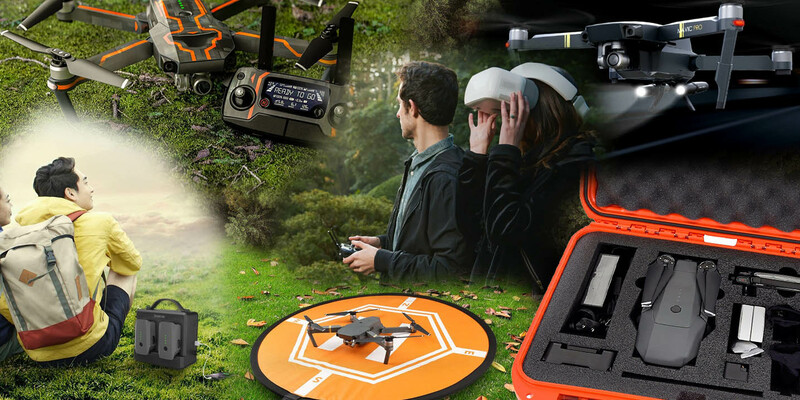 These products are also a perfect starting point to find the gifts for a Mavic Pro owner if you are not looking to purchase something for yourself. Also read: Happy Easter! And concerns about special use airspace. I must emphasize that I’m not responsible for any crashes, mistakes or accidents that you can encounter using some of these gadgets. Fly with care and within local regulations. Research and read reviews before you buy! Now… to the list of 31 DJI Mavic Pro Accessories and Gadgets I love 2019! Comment below if you have any other favorite products and ideas for the best Mavic gadgets. What do you use when you fly? I would love to hear about your experiences. To get that extra individual look on the drone, stickers, and decorations are available for your Mavic Pro. No one wants to be mainstream, right? You have several choices ranging from simple expression skins with faces and animal-like details, to whole skins covering the craft, batteries and remote controller. On Amazon, you can buy many different skin packages for this purpose. I read that they might interfere with GPS and the general range, but I haven’t tried them myself yet. Check out the many decal choices here recommended by Amazon with a top rating. ND filters for the drone-lens are essential if you want to make movies with a cinematic look. Polar Pro Mavic Filters comes in 3- and 6-pack. The 3-pack is my favorite bundle and the ones I use. DJI have their own filters, but I’ve read that they tend to fall off more easily. I haven’t tried them since the Polar Pro filters do the job. 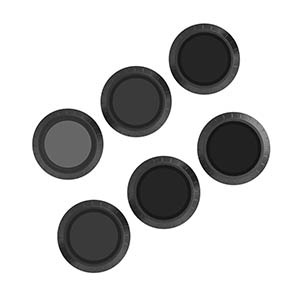 These filters make the lens darker, and therefore you will have lower shutter speeds. In photography terms, the shutter needs to be open for a longer period of time and the frames get a slight blur which looks good on video. Read more about “Why use ND filters” and how in this article. The Polar Pro Mavic Filter 3-Pack contains 3 essential filters which are perfect for most lighting situations while flying. The CP filter is a circular polarizer filter that helps increase contrast and saturation and reduce glare when around reflective surfaces. This is the filter I use mostly for photography. The ND8, 3-stop Neutral Density filter is used to help soften or smooth your videos giving them a more cinematic look. And last, the ND16- 4-stop filter is used in sunny and bright flying conditions. The 6 pack includes these as well: ND4, ND32, and ND64 as well. 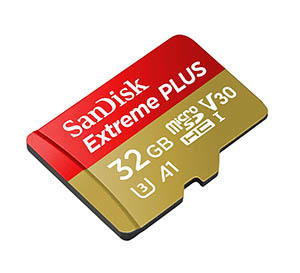 Extra memory cards are essential when flying long trips and photo shoots. Especially if you film a lot in 4K or take lots of pictures in RAW format in AEB. Mavic Pro use microSD memory cards. I always switch memory cards after a flight, for instance when changing the battery, so I don’t lose any footage if I’m unlucky and lose the drone. (God forbid …) Because of that I usually buy a couple of 16GB or 32Gb rather than one expensive large 64 GB card. When taking off or land in rugged terrain and tall grass it can be a good idea to attach extended landing gears to the multicopter to increase the height of the body. This set consists of three parts, two pieces for the antenna legs and one piece that click on the back. The drone still fits in the shoulder bag even if the legs are attached. I bought a set once (mainly because a trip to the Chernobyl Exclusion Zone), but I simply couldn’t fit them on the legs. Maybe I didn’t press them on hard enough but I felt they damaged the antennas. I haven’t seen anyone else having the same problem, so I suppose they work fine. Now I have taught myself how to take off and land the MavicPro from the hand so I can take off from everywhere regardless of the terrain and surface – and by that eliminating the need for extended landing gears. However, if you are afraid of the potential dangers of launching the craft that way, I recommend trying this gadget. If you have any ideas for cool DJI Mavic Pro Accessories, please remember to write them down in the comment section at the bottom! The portable helipad for RC Style Landing pad is a cool gadget that makes launching and landing easier on for instance grass and sand. Perfect for beaches and gardens. It is also a good visual waypoint when landing when the camera is pointed straight down. 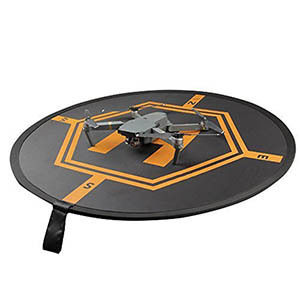 The RC Style landing pad for DJI Mavic Pro quadcopters (and of course other drones) is 80 cm in diameter, easy to fold, made of waterproof and sun protected materials, and with a luminous strip set to direct the launch position exactly during the night flight. Joystick protectors are in my opinion an essential gadget for your Mavic or Spark remote controller. When the remote controller is stored in a bag or pocket without, the thumbsticks risk being bent too much which may damage the remote controller. A protector is a cheap way to avoid buying a new controller. I use one of these transport clips daily, and even if there are different types, the PGYTECH Mavic Pro Control Thumb Stick Protector is the one I recommend. Propeller protection, or bump guards, are attachments to the arms and guards the propellers if you hit stuff. I product I haven’t tried but might serve a purpose on rare occasions. If you fly a lot indoors or in tight spaces, they can actually save your propellers and drone. I guess they can help if you come to close to trees too. I have seen a lot of video reviews of this product, and most of them think it is stupid. Maybe they could be useful for a few of my minor accidents hitting trees and stuff, but my copter has survived anyway. The biggest con/minus for this product is the rigging time. It seems to take too much time putting them on. At least outdoors, I prefer to be able to remove the drone from the bag and fly straight away. The AQGOODLIFE DJI Mavic Pro Platinum Propeller Guard seems to have Quick Release functionality. Do you use propeller protections? What is your take? Pleeease leave a comment below. If you are serious about flying long distances and is not satisfied with the standard 7 km range, a range booster is what you need. I have yet to reach 7 km myself since it depends a lot on conditions like view and topography, but in great weather and flat landscape, the maximum range is possible. However, if you want to go further I now pilots attach the Titan Atlas Antenna System range booster to the remote controller. 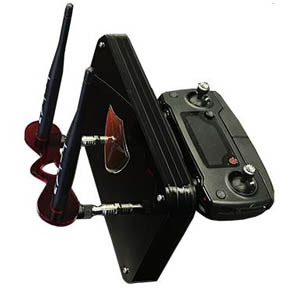 It is an all in one compact amplified antenna system with internal 3000 mAh battery which lasts for up to 10 flights. The omnidirectional antennas have dual 3w bi-directional amplifiers for better reception. 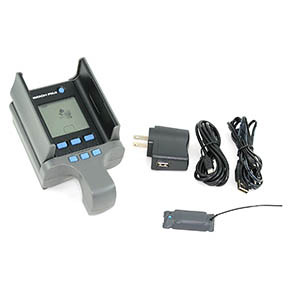 The compact gadget has built-in voltage and battery percentage display. Have you tried it? I want to know if it really works! Also, check out the Tactical Ground Station gadget in place 16 that also have the Titan antenna. The Lowepro Droneguard BP 250 is a first-class specialized backpack that provides rugged protection for your DJI Mavic Pro system. 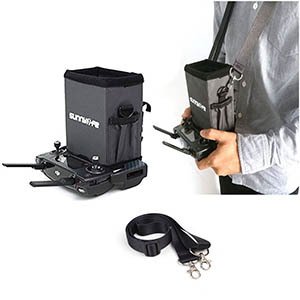 It might be a bit expensive, and there are other alternatives out there, but you with this backpack you get space for your multicopter, a 15″ laptop, a tablet, 5 extra batteries, Osmo, 2 GoPros, remote controller and more. If you are serious about drone filming and photography this backpack is perfect! I love Lowepro, and I have bought a ton of their products and backpacks. They always deliver! Which backpack do you prefer? Comment below. 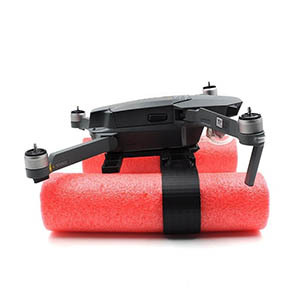 For the best protection and storage of your quadcopter, especially on tough travels, you might consider buying a waterproof, dustproof and shockproof hard case with custom foam insert for the DJI Mavic Pro copter. 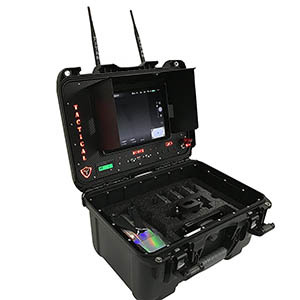 The Nanuk 920 DJI Drone Hard Case is an excellent choice. It comes in several cool colors like black, yellow, orange, silver, graphite and olive. It all depends on how visible and flashy you want to be carrying around the case. 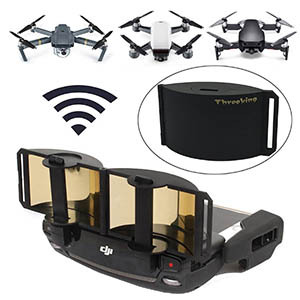 In the case, there is room for the drone, propellers, the charging hub, cellphone, the remote controller, four batteries and other accessories. The new low-noise propellers make the Mavic Pro a little bit quieter. And they look fancy too. 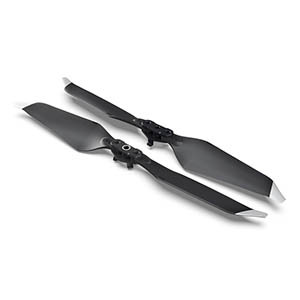 If you are wondering if these new propellers that were launched with the Platinum version of Mavic Pro, fits the original Mavic Pro, they do. They work with both models. The new 8331 propellers look a bit different with a new aerodynamic design. They feel thinner and more fragile than the originals but have the same quick release mechanism as the previous versions. I bought them to reduce the buzzing noise from the aircraft, but also I think they look a bit cooler. DJI promise enhanced endurance and quieter flight with noise reduction up to 4dB (60%). Get them with silver (platinum) or golden tips. 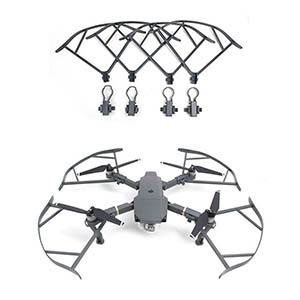 I must say it is a bit hard to hear any big difference in the sound level, and I also have experienced unusual vibrations to the gimbal with this propellers but they are cheap and worth a try. Read here why I don’t use them anymore here. Buy them at my recommended online store Amazon or in the official DJI Store. Some airlines demand that you store lithium batteries in fireproof storage during flights. The easy solution for this is purchasing the Kuuqa Fire- and Explosion-proof safety bag for the DJI Mavic Pro. In general, you will feel more relaxed when minimizing the risk of fire. 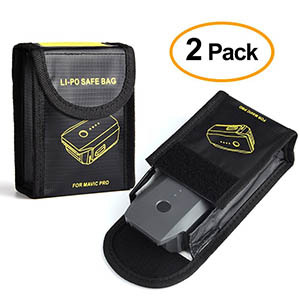 Perfect for safe traveling, transportation and storage. I’m not sure how big the risk is for experiencing battery explosion, but since there is a small risk – why risk it? The seller also has versions for DJI Mavic Air available. Be sure to purchase the right one that fits your drone. This is a sunshade gumball cover made of elastic silicone plastic. The purpose is to prevent sun flares on the lens and a bit of protection for the camera and gimbal. It is a great idea and cool gadget gift if you are looking for a cheap gift to a drone-fanatic friend. The edge of the cover might become visible on pictures taking at extreme maneuvers, but usually, you will be fine. Comes in grey and black colors. Press picture for more details. If you bought the Mavic Pro multicopter without the Fly More Combo, you have only just one battery. If that is the case, you probably don’t need this product. If you haven’t bought other batteries in addition, of course. If you bought the Fly More package you already have this accessory. The battery charging hub is a great way to charge four batteries with efficiency. It means that you can attach all the batteries to the charger and it starts checking all the batteries and charge the one with the lowest power first. When that is done, it continues with the other ones. It does not charge all the batteries at once, as some people believe. Check price and availability in the DJI Store. Maybe it is time to upgrade with a few new batteries? 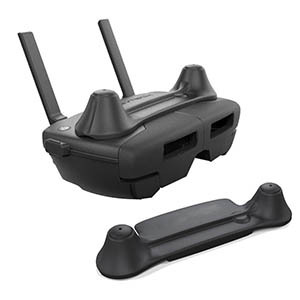 There are several tablet holders on the market you can use to attach tablets to the drone remote controller. This tablet holder made of aviation aluminum-alloy and high-quality ABS fits 4-12 inch phones and tables, has 360° rotation and 45° adjustments to fit various needs. 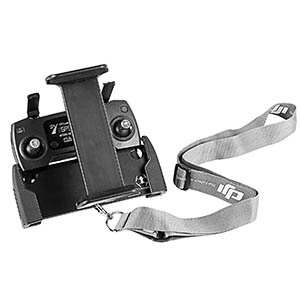 The stand also supports a strong, adjustable nylon shoulder neck strap that perfectly liberates your hands when flying. It fits the controllers of Mavic Air and Spark as well as the Pro. This tablet holder (click the picture) is a best selling product on Amazon. 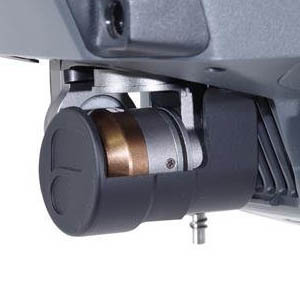 This is a gadget that most pilots probably don’t need, but if you have the cash and want an expensive drone gadget that the rest of the pilots in the street don’t have, go for the Tactical Ground Station for DJI Mavic. It stores the drone in a safe place and has a lot of other cool features. It has dual 3W Amplifiers powered by a 6800 mAh Lithium-ion battery capable of multiple flights in one charge. The back-lit main panel has built-in Voltmeter. 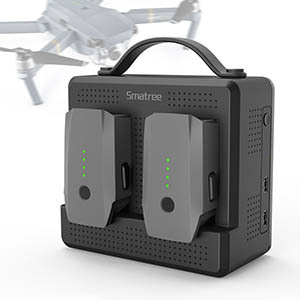 You can charge the drone batteries through multiple ports and a 220 W Charger. In addition, there is a launch pad for uneven terrain and magnetic mounting for a tablet. It does more than I could ask for. Nice safe place to transport AMD store the drone. Built in amps is a huge plus. I would recommend it to anyone. If you only for a long range antenna, check out the range booster up in place 8. The SP180 Smatree Portable battery charger for Mavic Pro and Platinum is great to pack in your bags if you are going to places you know there won’t be any power sockets, for instance on hiking. With 185Wh power capacity, this gadget can charge 2 Mavic batteries simultaneously. This will take about an hour. The battery pack can fully charge up to 5 drone batteries before it needs to be recharged itself. The power bank has 5V/2A USB output, so you can also charge the remote controller, cellphone or iPad when you are outside enjoying a flight in the great outdoors. I find this sleeve, or pouch, to be an essential accessory for the Mavic. I use it a lot for instance when I have to store the aircraft in my camera bag together with my DSLR. Often it is not appropriate to bring the drone shoulder bag itself, but more convenient to put it elsewhere. This is an original DJI product, but it is still very cheap. The inside of the sleeve is made of a soft wear-resistant material and protects your beloved quadcopter well with propellers attached. Perfect for transporting and storing the aircraft. The remote controller won’t fit in it at the same time, but I put on remote controller joystick protectors I mentioned in place 6 on, and toss it in the backpack or camera bag I’m carrying. Buy it through the DJI Shop – click the image for direct link. A lens pen, the same as I use on my digital camera lenses, is an essential piece of equipment I always carry with me when droning. I use it to clean the camera, brush off dust and dirt from the filters and also to clean the different sensors around the drone. For the small vision sensors in the front and on the underside, I also use q-tips that I also always carry with me. 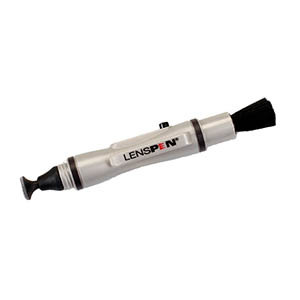 The LensPen NLP-1CUP UltraPro Lens Cleaner is also a great gift idea for a drone addict you know – it is very cheap. Safe for all types of optical devices. 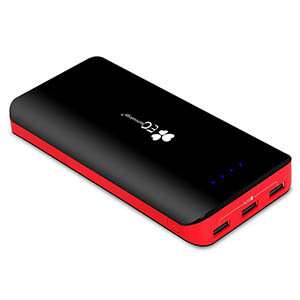 Power banks are recommended to ensure you always can charge up your tablet or smartphone. You can’t use them to charge the Mavic batteries but I always have at least one power bank in the backpack. What’s the point of having 3 fully charged drone-batteries if your phone dies? Try to find a product with at least 20.000 mAh power. There are many to choose from. Click here to see one suggestion. Also, check out number 16 and 17 for charging solutions. This range booster doesn’t look like much but according to hundreds of Amazon user reviews, they seem to work very well. They are very cheap and fits the remote controller of the Mavic Pro, Air, and Spark DJI drones. Easy to install, cheap, and made by top-quality copper and with mirror design. Let me know about your experience with these foldable range extends below! When accessories are as inexpensive as these, they are worth a try. Ok, this is not a proper buyable gadget as the other items on this list. But since the 4K camera is on a stabilized gimbal I thought I should remind you that you can use the gear for ordinary filming as well. On the ground, and not only in the air. I think it’s a very clever way to use your flying camera as an ordinary film camera. Check out the item in place number 31 for a product you can buy and not print. How to fly in the sunshine? Buy a sunshade for the phone screen. Bright sunshine makes it difficult to see the display. There are many options possible to buy on Amazon. The problem is that many of the sunshade products have a very low score… so do your research. I have found a product that seems to work with good shading effect but feel free to try other solutions. This sun hood fits the popular drones and is compatible with iPhone 6/6s/7/8, iPhone 6 Plus /6s Plus /7 Plus, and other 4.7-5.5 inches smartphones and tablet. The external fabric is made of waterproof nylon. It is foldable, easy to install and therefore very portable. This is a set containing landing gear extensions as well as LED lamps so you can see in dark places. 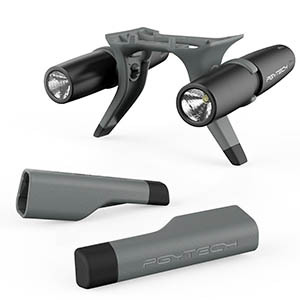 The PGYTECH lamps are powered by AAA batteries and do not drain power from the onboard intelligent battery. I have mentioned landing gear extensions before in this guide list, but these ones are necessary since the lamps are mounted underneath. Use for light filling, night shots (when allowed), night search, flash warning, and direction guide. The base case is that electrical quadrocopters are very sensitive to water. If they crash in the wet element they are likely to be so damaged that it can’t fly again. So be careful with water. But if you have to hover about this dangerous surface there is a gadget that perhaps can save your drone in case of emergency. I would seriously not recommend landing on water on purpose but use this gadget as a tool for minimizing the dangers if crashing. I can’t really see how these would help if it falls from the sky thou.. and I have not tried them myself so I don’t know how well it works. Here are a lightweight and soft silicone landing gear solution that lets you land on water. Check it out. The DJI Care Refresh plan is an accidental damage insurance plan, or extended warranty if you want, that gives you replacements if you have an accident. It gives you peace of mind when flying. Read more about the details by clicking the link at the beginning of the text. With a GPS Tracker, it is easier to find the craft when it is lost. The Marco Polo RC tracker for quadcopters, UAVs, and model rockets, is one possible solution. It is simple to setup and use. With the push of a single button, it begins to search for the lost remote-controlled model with real-time distance and directional feedback. It works without GPS or cellphone coverage as many other trackers do, so even if it is a bit costly you don’t need monthly charges. It is cost-effective insurance when flying in remote areas and you have lost your drone. The rechargeable lithium-ion battery in the 12 g transceiver tag has power enough for 15 days. The signal does not interfere with the rest of the signals and is only activated when the handheld locator is put in search mode. I think it is a great safety device. 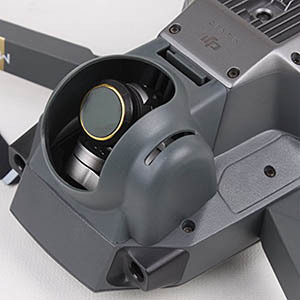 The seethrough gimbal lock pieces that come with DJI Mavic Pro can be difficult to use. 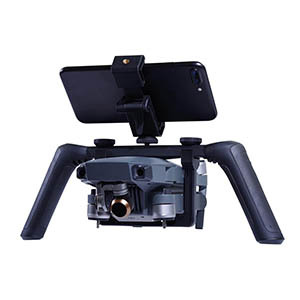 The gimbal often gets free and is tilted in strange positions, and I actually had to buy a new cover since it broke. I should have bought this PolarPro Gimbal Lock and combined Lens Cover instead. It protects the lens and keeps the camera in place safely during travel or storage. It is compatible with camera filters, and it actually reminds you to remove the piece before takeoff since it blackens the screen. A great little gadget I would recommend to any pilot. The supercool DJI Goggles takes your droning experience to a new level! With these, you can see with First Person View (FPV) exactly what the camera sees directly in your eyes. The goggles come in two versions, the ordinary one, and a new Racing Edition. A pair of 1920×1080 HD screens and head tracking feature enables you to get an immersive flying experience. The goggles work perfectly for Mavic Pro but also for the Spark, Phantom 4, Phantom 4 Pro, Phantom 4 Advanced, and Inspire 2. 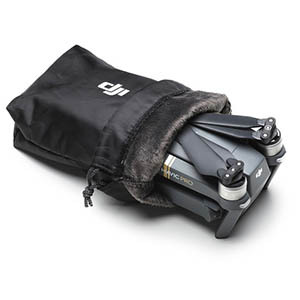 Read more about this awesome accessory at the DJI website and read reviews by users on Amazon. This will be the next thing I buy! These LED propellers look flashy and cool. Other than that, I’m not sure about the purpose, but coolness is enough, right? 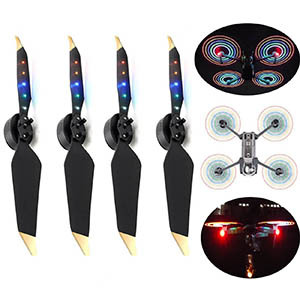 You get two pairs of propellers in the package with 5 pieces of colorful LEDs on each propeller. They are made of nylon materials and with the same design as the low-noise propellers that have lower aircraft noise during takeoff and landing. It is claimed that it won’t impact the flying capabilities. Here is a product you can purchase that lets you capture cinematic ground shots with the stabilized 4K camera on the Mavic’s. 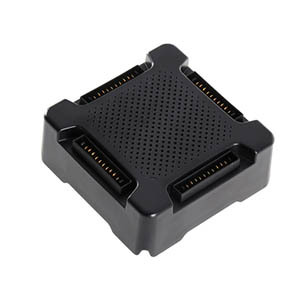 The PolarPro Katana Cinema Tray It turns your quadrocopter craft into an all-in-one everyday camera. The smartphone mount (up to IP7 Plus with case) lets you frame the image perfectly and the double grip system makes it easy to hold, pan and move. So, that was the end of the best accessory list for now. If you miss an item or want to share your experience with one of the products listed above, please write a comment. And be sure to share this article with your droning friends! 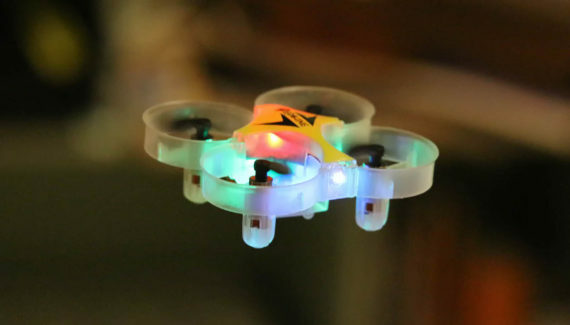 Review: Eachine E012 is a surprisingly stable and fun ultra-mini drone! High-res DJI Mavic Pro Wallpaper! Free download. Andreas is the founder of AirBuzz.One and several other sites. He has a passion for photography, toys, gadgets, and gizmos. Hey Andreas, I love your blog. I really like the Mavic filters. I didn’t know that you get filters for your drone camera. How much are they selling for? The portable landing pad is also a good idea. I still haven’t bought a drone but will do so in the next few months. I’m glad I’ve come across your list. I’ve already made an accessories list I’m going to get. I want to make some little movies with a cinematic look and I heard before that ND filters can do a great job. Do you think that would 3 pack be sufficient for me? Absolutely amazing article. I just ordered a Mavic Pro from Amazon 1 week ago and it’s close to turning up. I should’ve bought accessories earlier but late is always better than never. I’m thinking of getting the Hood Lens so I protect my lens and avoid sun flares as much as I can. The backpack will also allow me to keep everything in one place so I never lose anything! Great article, keep it up my friend! I’ll be getting some of these items asap. The first time I fly a drone, I almost crashed it! I love the idea for propellor protections. I think as far as flying indoors vs. outdoors, that landing pad would definitely come in handy in either situation. Easy to see and you can be confident the landing pad is sturdy (unlike some surfaces). I never thought of stickers and decals! The orange stickers you showed as an example looks really cool! And the landing extensions (the one with the flashlights too!) are really cool. You can really deck out your drone – much like a car! But I’d be afraid of adding too much weight to the drone with all the extra gadgets you can buy. Is there a recommended extra weight you’d recommend? Good morning, I am so happy to find Airbuzzone on my quest to gather all the information I can about drones and flying legally and safely. 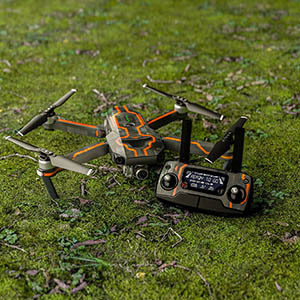 I see you as an authority of your field after researching this field for months I find you give great detail in your knowledge of the products and gadgets for the DJI Mavic Pro drone and platinum. Thanks to the valuable information I have gathered here I see there is so much more to these drones than I have ever considered. With all my years of buying things I like to do my research before I buy and found doing research on people that have vast experience on products the use is the best because the have first hand knowledge of the product through their own trials and errors. I have much more research to do before I can make the right purchase for myself. Wow, so many options to choose from! I didn’t realize there were so many tools and technology related to drones- still new to this. 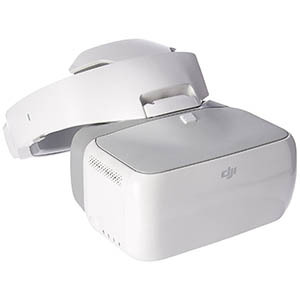 The DJI goggles seem like an out of this world experience, almost seems like you’ll be flying. I have a friend who uses their drone a lot to film, I wonder if this could be useful to get the best shot? I bought one of the DJI Mavic Pro just a few weeks ago and absolutely love. 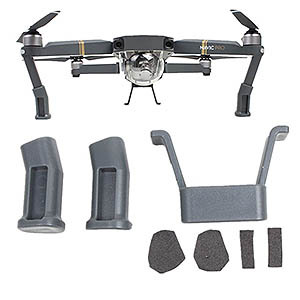 I never knew there were so many accessories for the DJI Mavic Pro. I saved your site to my favorites for future reference and I decided to go ahead and buy the RC Style Portable Landing Pad so I can practice my landings. Thanks for all the great accessory ideas. After reviewing so many of these accessories and gadgets, I am pumped to start adding to my drone! The drone waterproof hard case really got my attention – better safe than sorry. Next, what grabbed my attention was the Tablet Holder with strap. If you are protecting your drone it only makes sense to protect your tablet as well. Andreas, your drone must be sick!? I love your #9 accessory the Lowepro Droneguard BP 250 backpack, I am new to the world of drones. I used to sell cameras and camcorders as well as accessories for them. 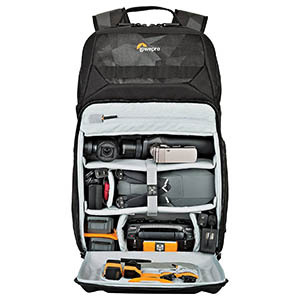 Lowepro has been trusted by the photography community for sometime and it looks like the same attention to detail has be duplicated in this Lowepro backpack. I would not hesitate for a minute to invent in any of their products as they are tried and true. This is an awesome article! I don’t have this drone, but I do have a different DJI drone. I think the led propellers are pretty cool, I definitely want to get some for mine. I really love flying my drone! I wish they made longer lasting batteries. Thanks for the info. You are absolutely right! Thanks. 🙂 I’ll fix it.